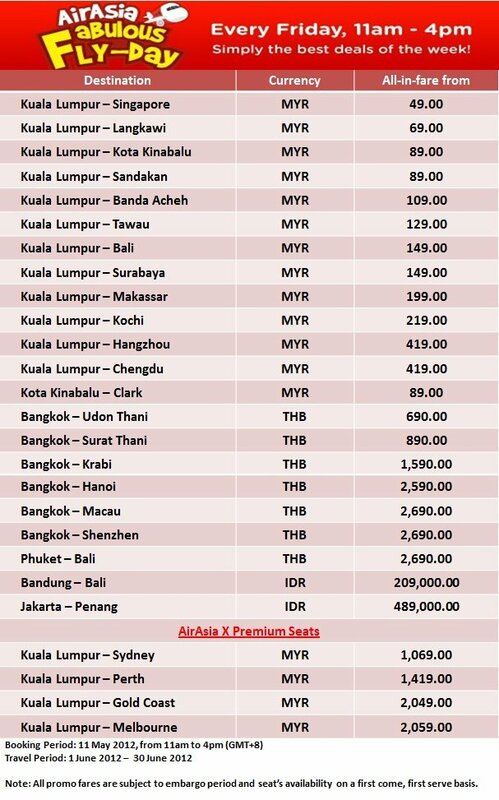 AirAsia Fabulous Fly-Day is here again! Pack up your bags and fly to great destinations such as Singapore, Langkawi, Clark, Krabi, Macau, Bali and many more from as low as RM49(all-in-fare)! Jump on to AirAsia X Premium Seats and fly to Australia from as low as RM1,069(all-in-fare)! Do you like AirAsia Fabulous Fly-day?